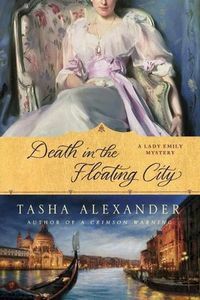 Death in the Floating City by Tasha Alexander: Synopsis and Online Purchase Options. Synopsis (from the publisher): Years ago, Emily's childhood nemesis, Emma Callum, scandalized polite society when she eloped to Venice with an Italian count. But now her father-in-law lies murdered, and her husband has vanished. There's no one Emma can turn to for help but Emily, who leaves at once with her husband, the dashing Colin Hargreaves, for Venice. There, her investigations take her from opulent palazzi to slums, libraries, and bordellos. Emily soon realizes that to solve the present day crime, she must first unravel a centuries old puzzle. But the past does not give up its secrets easily, especially when these revelations might threaten the interests of some very powerful people.